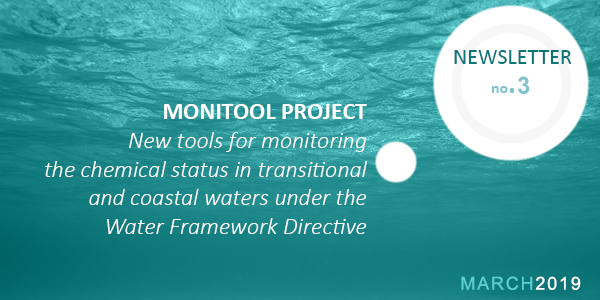 The MONITOOL project aims to provide a robust database of dissolved and labile metal concentrations in transitional and coastal waters for adapting the existing water Environmental Quality Standards (EQS; 0.45 μm filtered) for Diffusive Gradients in Thin-films (DGT) passive sampling devices (EQS-DGT) in order to improve and facilitate the chemical status assessment of waters under the Water Framework Directive (WFD). 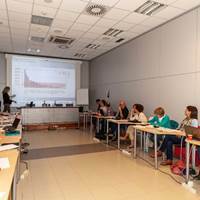 In the framework of the MONITOOL project, Work Package 5, it was decided to set up an intercomparison exercise on the treatment and analysis of DGTs after exposure. 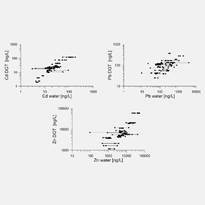 The general objective of the exercise is to assess the potential function and the efficiency of DGTs for trace metals monitoring in surface and coastal waters in the context of the Water Framework Directive (WFD). Within the MONITOOL project, it is important to assess the extent to which biofouling occurs on DGTs deployed during the project. 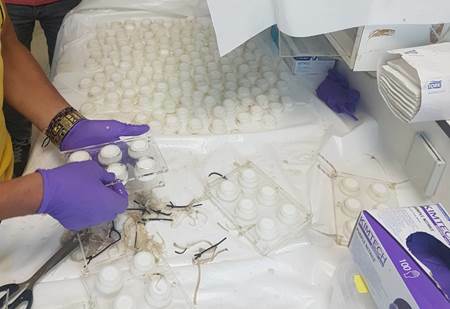 Assessment of biofouling is being investigated by Dublin City University, the partner coordinating the project. The general objective of the Work Package 4 is to develop a database that allows the compilation and interchange of all information generated during the study. 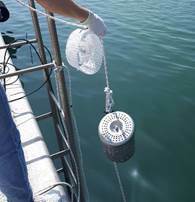 The University of Cagliari (UNICA) has carried out two sampling campaigns (winter and summer) in the Harbour of Cagliari, including the use of DGTs (for metals) and SR and POCIS (for organic pollutants). 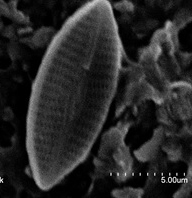 The aim of these events is to present the MONITOOL project, to disseminate the use of most commonly used passive sampling techniques to evaluate chemical status of waters and to present in depth the DGTs. This project (No. contract EAPA_565/2016) is co-financed by the European Regional Development Fund through the Interreg Atlantic Area Programme (2014-2020). 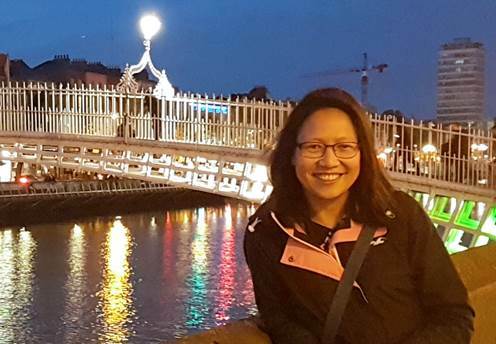 Thi Bolam, who leads Work Package 5 (Field sampling and analysis) of the Interreg funded MONITOOL project, is a marine chemist with over 18-year experience working on trace metal and organotin levels in the marine environment and she is currently based at the Cefas Lowestoft laboratory. Final meeting of the NOTICE COST Action TD1407 – Network on Technology-Critical Elements. Jornada Técnica sobre Muestreadores pasivos para el control de las aguas costeras Proyecto MONITOOL. SETAC Europe 29th Annual Meeting. One Environment. One Health. Sustainable Societies.